Best Way to Protect Our Public Lands? Enjoy Them! I know I’m preaching to the choir when I talk to Natural Habitat Expeditions readers about the benefits of getting outside onto our public lands, and, to quote Thoreau, how much we need the tonic of wildness. But apparently, as a society — at least here in the U.S. — we aren’t spending time outdoors, let alone in the backcountry, and that may be the greatest threat of all to a healthy future for our wild lands. 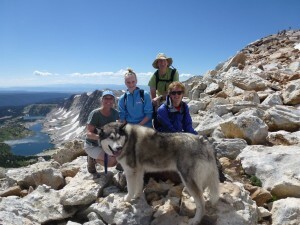 New York Times columnist Nicholas Kristof, who may be the most thoughtful commentator on current affairs writing today, recently reflected on his family’s backpacking trip on the Pacific Crest Trail, and what a wonder it is that in this cash-strapped, anxiety-ridden age, every one of us can revel in the riches of our public lands more or less for free. While he observes that Congressional Republicans are currently angling to reverse areas of wilderness designation and open up more public lands to logging, drilling and other resource exploitation, the greater risk to our wild lands lies with ourselves: if we’re not out recreating and retreating in the outdoors, we literally don’t know what we’re missing. And if we don’t know how precious these lands are, we are less likely to fight for their preservation. 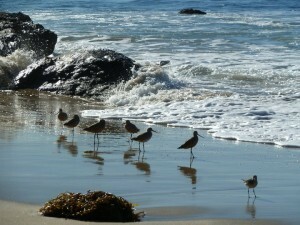 Sandpipers on the Southern California coast. Photo: Wendy Worrall Redal. If we aren’t enjoying the outdoors — if we aren’t becoming intimately acquainted with fields and woods, wildflowers and wildlife, lonely beaches and vast skies, high peaks and deep canyons — how can we work passionately to protect these irreplaceable treasures for future generations who deserve the same chance to fall in love with them as I did as a child in the ’70s? As I look down on my own pock-marked calves and shins, scratched bites of summer slowly fading from itchy red welts to little purple memories, I couldn’t agree with him more. Need some inspiration for your next immersion in the back of beyond? Look no further than the Natural Habitat Adventures website, where a dizzying slate of outdoor adventures awaits.